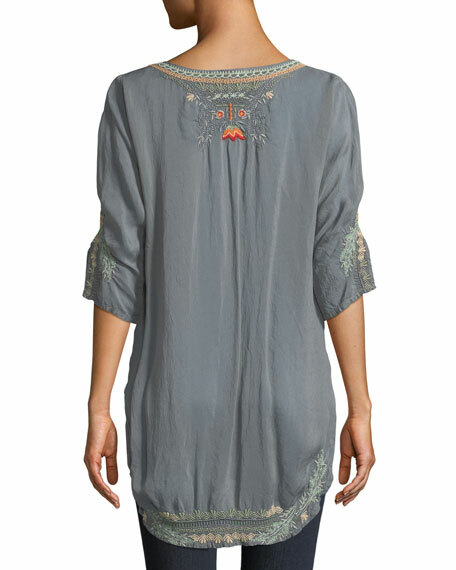 Johnny Was "Olive Blossom" tunic with signature embroidery. Curved hem with side slits. 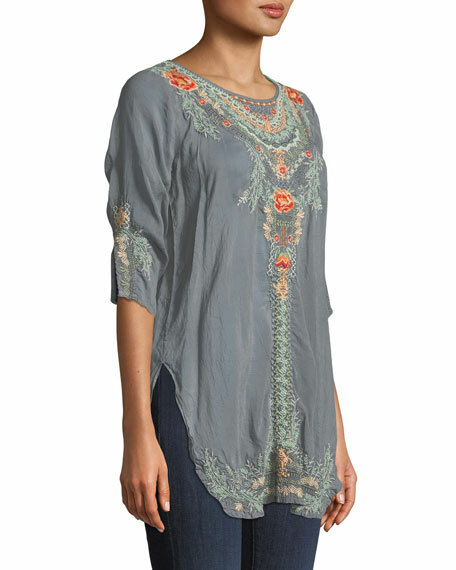 For in-store inquiries, use sku #2641767.